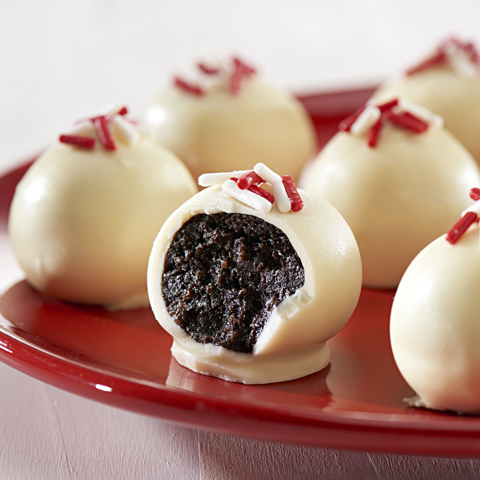 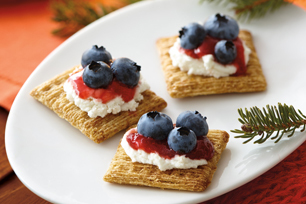 Makes 1 serving, 2 topped crackers (26 g). 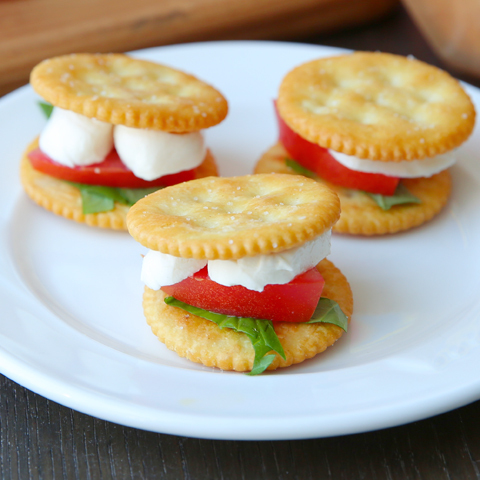 Spread crackers with cream cheese spread. 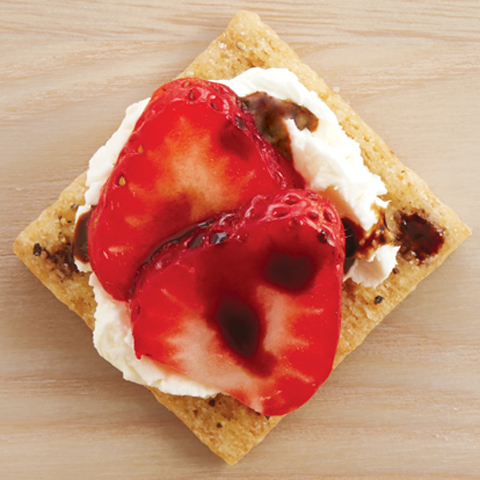 VariationPrepare using balsamic glaze, and substituting ricotta cheese for the cream cheese spread.